These Terms are dated 01 December 2018 and will apply to any contract between us for the sale of Goods to you (Contract). Please read these Terms carefully before ordering any Goods from our website. Please note that by ordering any of our Goods, you agree to be bound by these Terms and any other documents expressly referred to in it. This website (www.moorchocolatedirect.com) is owned and operated by Moor Chocolate Ltd.
2.1 The images of all Goods available for purchase are for illustrative purposes only. 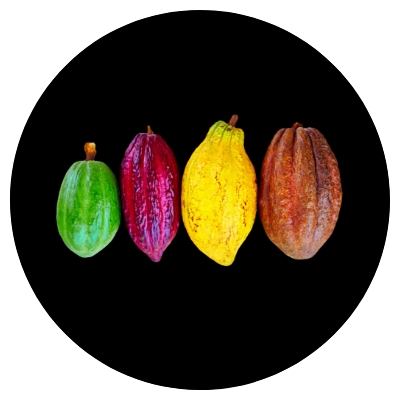 We have made every effort to display the colours accurately, however we cannot guarantee that your computer’s display of the colours accurately reflect the colour of the Goods. Your Goods may vary slightly from those images. 2.2 The packaging of the Goods may vary from that shown on images on our website. 2.3 All Goods shown on our website are subject to availability. We will inform you by email as soon as possible if any Goods you have ordered are not available and we will not process your order if made. Your use of our website is governed by our Terms and Conditions. Please take the time to read these, as they include important terms which apply to you. 6.2 After you place an order, you will receive an email from us acknowledging that we have received your order. However, please note that this does not mean that your order has been accepted. 6.3 We will confirm our acceptance to you by sending you an email that confirms that the Goods have been dispatched. The Contract between us will only be formed when we send you this email. 6.4 If we are unable to supply you with any particular Goods, for example because it is not in stock or no longer available, we will inform you of this by email and we will not process your order. If you have already paid for the Goods, we will refund you the full amount as soon as possible. 8.1 You have a legal right to cancel a Contract under the Consumer Protection (Distance Selling) Regulations 2000) during the period set out below in clause 8.4. This means that during the relevant period if you change your mind or for any other reason you decide you do not want to keep any particular Goods, you can notify us of your decision to cancel the Contract and receive a refund. Advice about your legal right to cancel the Contract under these regulations is available from your local Citizens’ Advice Bureau or Trading Standards office. (b) perishable goods, such as food, drink or fresh flowers. 8.3 All Goods currently offered for sale on our website are classified under Clause 8.2(b) above and as such they cannot be returned. The Goods leave our premises in good condition. It is possible that damage may occur in transit and if any particular Goods arrive in a damaged condition we request that customers take photographs of the package and damaged contents and contact us as soon as possible indicating if a replacement or a refund is desired. Refunds may be given if the evidence provided show the goods have been damaged in transit and the customer elects for a refund rather than replacement. 8.4 Your legal right to cancel a Contract starts from the date of the dispatch confirmation email, which is when the Contract between us is formed. If the Goods have already been delivered to you, you have a period of 7 (seven) working days in which you may cancel, starting from the day after the day you receive the Goods. Working days means that Saturdays, Sundays or public holidays are not included in this period. 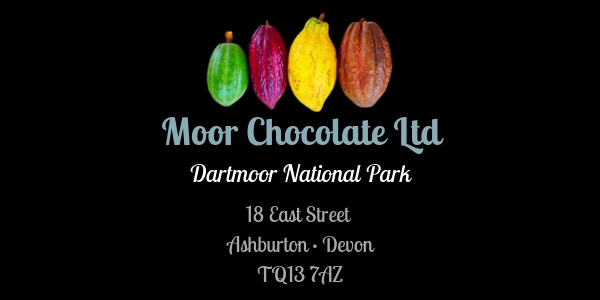 8.5 To cancel a Contract, you must contact us in writing to the Registered Office address of Moor Chocolate Ltd. You must confirm your order reference, the email details you used in the original order and details for the reason for cancellation. You may wish to keep a copy of your cancellation notification for your own records. Your cancellation is effective from the date we receive your cancellation notice. 8.6 You will receive a full refund of the price you paid for the Goods and any applicable delivery charges you paid for. We will process the refund due to you as soon as possible and, in any case, within 30 calendar days of the day on which you gave us notice of cancellation. (a) you must return the Goods to us as soon as reasonably practicable. (b) unless the Goods are faulty or not as described, you will be responsible for the cost of returning the Goods to us. 8.8 As a consumer, you will always have legal rights in relation to Goods that are faulty or not as described. These legal rights are not affected by the returns policy in this clause 8 or these Terms. Advice about your legal rights is available from your local Citizens’ Advice Bureau or Trading Standards office. 9.1 Your order will be dispatched within two working days of receipt of your order. If we are unable to meet the estimated dispatch date because of an Event Outside Our Control, we will contact you with a revised estimated dispatch date. 9.2 Delivery will be completed when we dispatch the Goods to the address you gave us. 9.3 The Goods will be your responsibility from the completion of delivery. 9.4 You own the Goods once we have received payment in full, including all applicable delivery charges. 10.1 Delivery outside of the United Kingdom will be dependent on the location and may be declined at our choosing. 11.1 The prices of the Goods will be as quoted on our site from time to time. We take all reasonable care to ensure that the prices of all Goods are correct at the time of publication. 11.2 Prices for our Goods may change from time to time, but changes will not affect any order which we have confirmed with a dispatch confirmation email. 11.3 The price of any particular Goods includes VAT (where applicable) at the applicable current rate chargeable in the United Kingdom for the time being. However, if the rate of VAT changes between the date of your order and the date of delivery, we will adjust the VAT you pay, unless you have already paid for the Goods in full before the change in VAT takes effect. 11.4 The price of any particular Goods does not include delivery charges. Our delivery charges are as quoted on our site from time to time. 12.1 Payment can be made using the Paypal system, and by credit or debit card via the Paypal portal. Payment for the Goods and all applicable delivery charges is in advance. 13.1 Save as precluded by law we shall not be liable to you or any third party for any direct, indirect, consequential or economic loss whatsoever and this shall include, but not be limited to, loss of revenue loss of profit, loss of opportunity, loss of goodwill, loss of work. 13.2 We shall not be liable for any claim for damage or loss whatsoever in excess of the value of the goods purchased. 13.3 We only supply the Goods for domestic and private use. You agree not to use the product for any commercial, business or re-sale purposes, and we have no liability to you for any loss of profit, loss of business, business interruption, or loss of business opportunity. 15.6 These Terms are governed by English law. This means a Contract for the purchase of Goods through our site and any dispute or claim arising out of or in connection with it will be governed by English law. You and we both agree to that the courts of England and Wales will have non-exclusive jurisdiction. However, if you are a resident of Northern Ireland you may also bring proceedings in Northern Ireland, and if you are a resident of Scotland, you may also bring proceedings in Scotland.